The rain has finally arrived in the Bay Area, and with it the loss of the 49ers. Dang. I could go on and on about the 2nd year Williams, and his two errors, but he has enough to deal with without me harassing him. Poor kid. The Niners got farther than any of us fans expected they would this year, so for that I salute you. 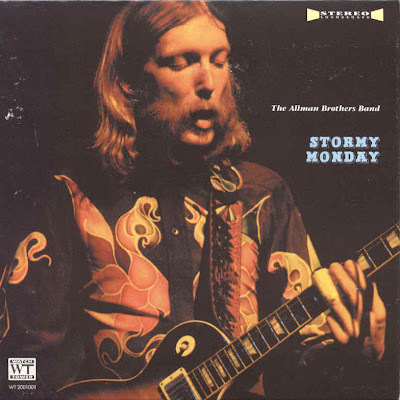 And therefore I bring you tonight’s show: Stormy Monday. I was raised by a father well versed in the genre of Blues. It was often playing in the garage when my dad was working on his old cars. We even had a jukebox, packed with 45s, many of which featured old blues. I’ve MCd the Northern California Blues Festival a few times, and have quite a large collection of great blues musicians, past and present. You can stream the show here. You can listen live to our shows on our popup player here.